Goat Built is a GREAT source for some unique and specialized relocation brackets designed specifically for the Vortec Truck / SUV engines. Drew Burroughs at Goat Built designed and built a competitive Rock Crawler / Ultra4 chassis around the Vortec engine and markets it to the home fabricator. Nick-named, "buggy in a box", the complete chassis comes pre bent and notched in a box ready to weld. BD Turnkey Engine customers get a 10% DISCOUNT! Email or call me for details, buy direct. 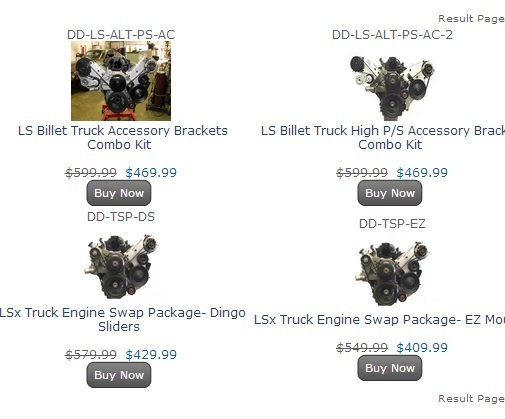 LSbrackets.com has a great selection of alternative accessory brackets, motormounts, etc. for popular swaps into GM trucks & cars. Although mostly for "LS" based engines you may find just the one you need. DirtyDingo.com has a large selection of brackets, motormounts, and even complete packages for some of the more common swaps. They have some components specifically for the Chevy / GMC "C" & "K" Series truck swaps. Engine to Manual Transmissions, Motor Mounts, Cross Members, etc. Although a competitor for actual engines, Novak is a great place and sometimes your only solution for particular adapters to certain transmissions and transfer cases. They are somewhat expensive but sometimes the time saved is worth the extra money. They will have all the adapters needed for the SM465, NV4500, and MANY other popular manual transmissions. 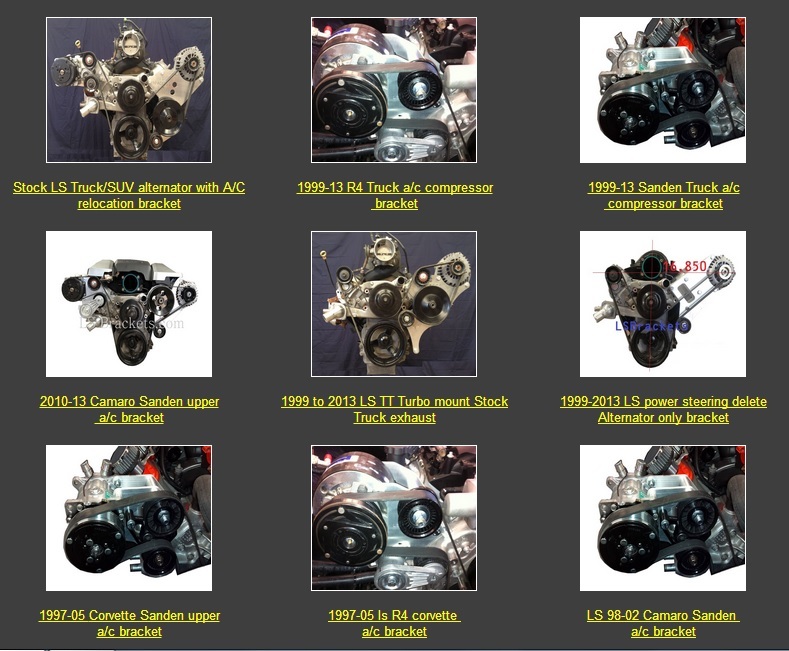 They also have a variety of conversion headers and motors mounts for many of the popular swaps. Advance Adapters is another great source for those common, but also unusual adapters you may need for your project. Also the manufacturer of the every popular Atlas Transfer Case. If your building from scratch, a rock crawler, or anything unique I really like this type of motor-mount. Its a positive connection, uses urethane Chevy 1/2 ton spring bushings and is the best.